Looking for a Kia dealer near Atlanta, Georgia? We have a Kia dealership located 26 miles north of Atlanta via I-75 and a second Kia dealership located 32 miles north of Atlanta via I-85. Buying a Kia from our lot is easy, and with a full line-up of new models available including Kia Stinger, Niro, K900, Cadenza, Forte, Optima, Rio, Sorento, Soul, Sportage, and Sedona you are sure to find exactly what you are looking for. Search our dealer inventory online to compare vehicle prices, specs, options, see photos and look for special deals or bargains on new vehicles, Used Cars, Used SUVs and Used Trucks. Our helpful auto financing staff is on standby to explain the benefits of buying or leasing a new vehicle at our Kia dealerships close to Atlanta, GA. Kia dealer specials and manufacturer incentives are frequently available to help you get the very best price and the lowest monthly payments. Expert Kia Service and repair is also available in our auto service center. 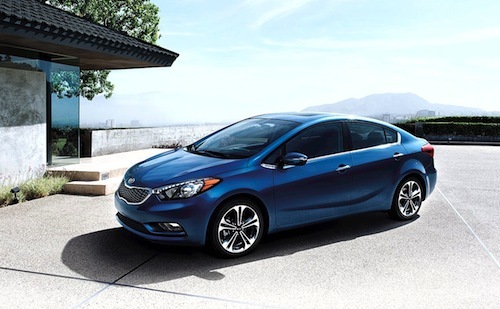 Bring your Kia in for oil changes, tune ups, brake inspections or more extensive auto repair. Our genuine Kia Parts and accessories center if fully stocked with OEM replacement and aftermarket parts. We invite you to stop by one of our Kia dealerships near Atlanta, Georgia, take a test drive, meet the team and let us know how we can be of service.